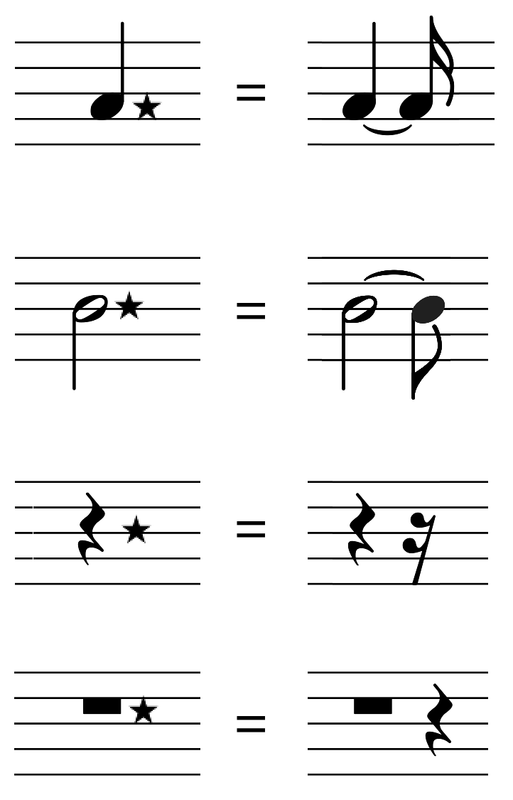 In Western music notation, note durations are multiples and divisions of 2: whole, half, quarter, etc. 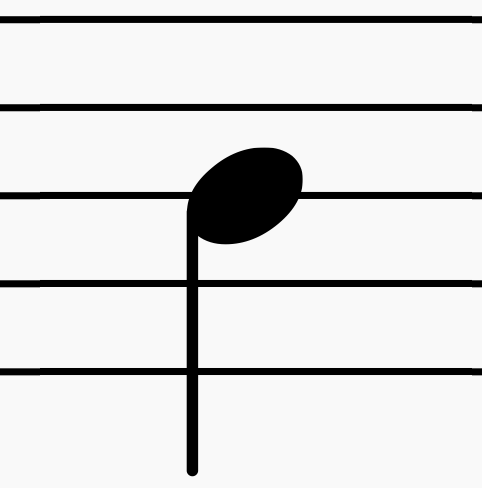 We have a simple syntax - the dot - for extending the duration of a note or rest by 1/2 the duration of itself. Using just our regular note types and the dot, we can describe notes with durations in multiples of 1, 2, 3, 4, 6, 8. 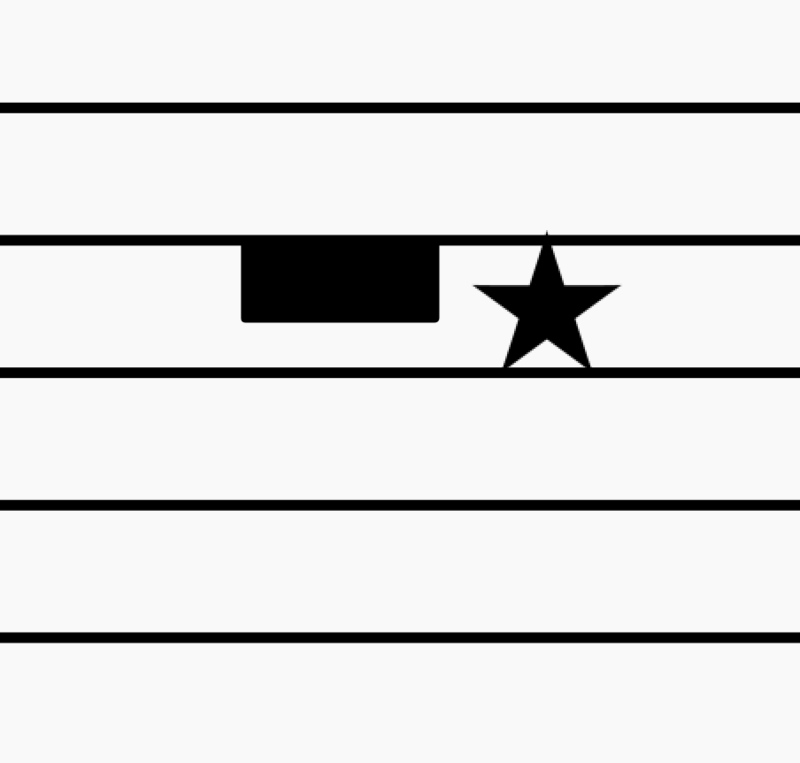 By using a “double-dot”, we can describe a note with a duration of 7 rhythmic subdivisions. 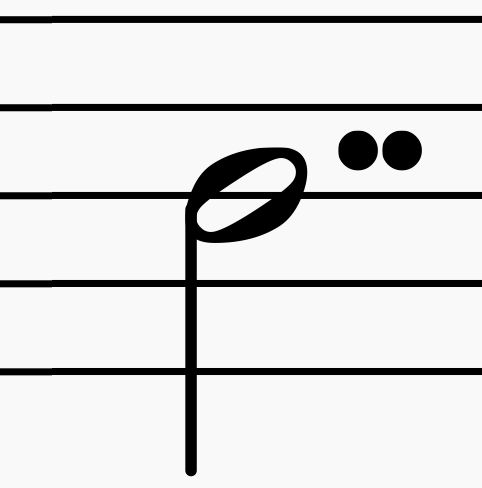 Conspicuously absent in our notation system is a succinct way to represent a note (or rest) that has a duration of 5 rhythmic subdivisions. The composer is expected to use a laminate of two notes tied together, e.g. in couples of 3 + 2, or 4 + 1. In music that has a 5-fold meter or a time signature in a multiple of five (like 5/4 or 10/8), this is neither practical nor appropriate. To represent a note that has a duration of 5 subdivisions, I propose using the 5-pointed star. It uses the same syntax as a dot. 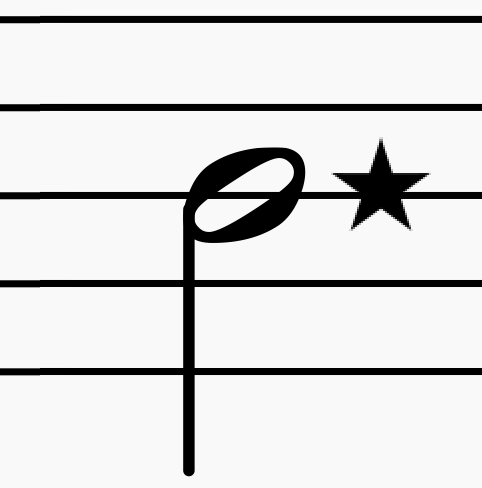 A star-dotted note or rest is extended in duration by one quarter of itself. Simply put, it turns a duration of 4 into a duration of 5. 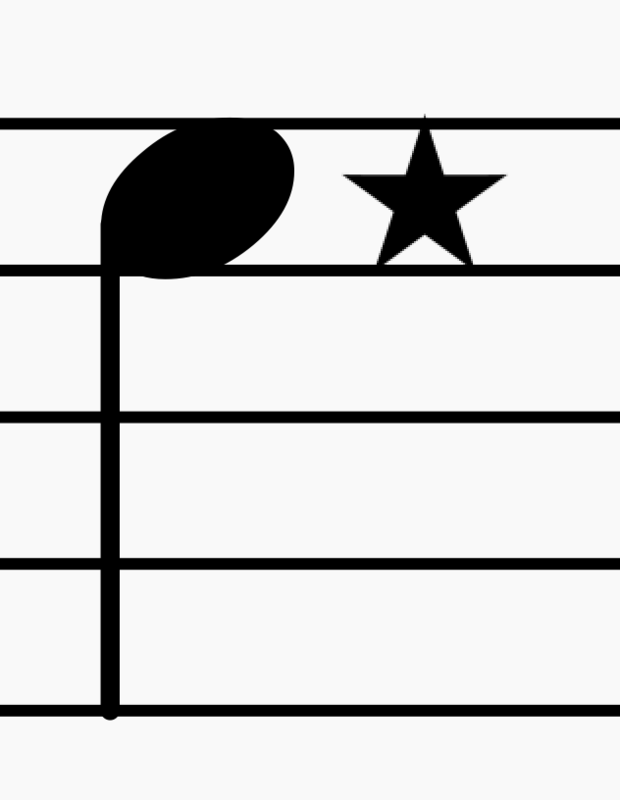 Suitable for use in any notation program that allows placement of graphic images. This is a high-resolution PNG far larger than is necessary for perfect aliasing at even an extremely high resolution. Suitable for use in any notation program that allows placement of vector shapes. This vetor shape will resize to any dimensions and will look perfect at any size, no matter what the resolution. 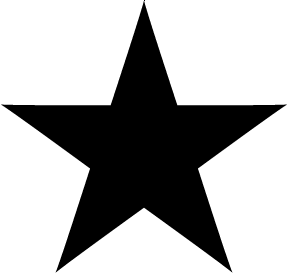 The black 5-pointed star is a common symbol named "BLACK STAR" already included in many commercial fonts. Its Unicode address is U+2605. Here are three different ways to render measure 21 from Lovers, the 7th movement of Opus Arcana, whose beginning and end sections are in a 10/8 time signature. 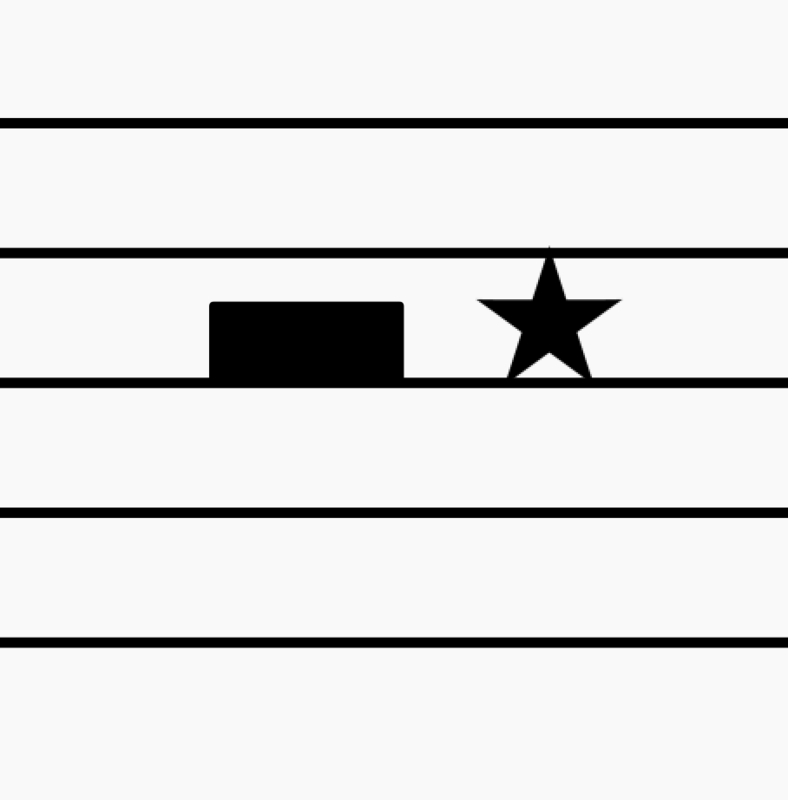 The first two examples split the 5-beat rest and note into separate entities using ties, whereas the third uses the simplified star syntax. Never use stars for syncopation! 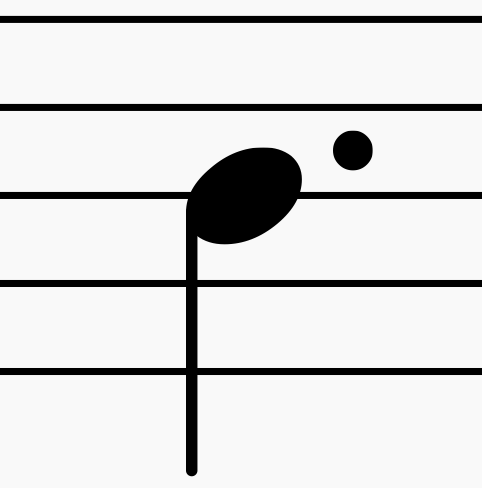 In order for syncopated rhythm to be legible, you do not use a dotted note to extend a note duration across a meter boundary. 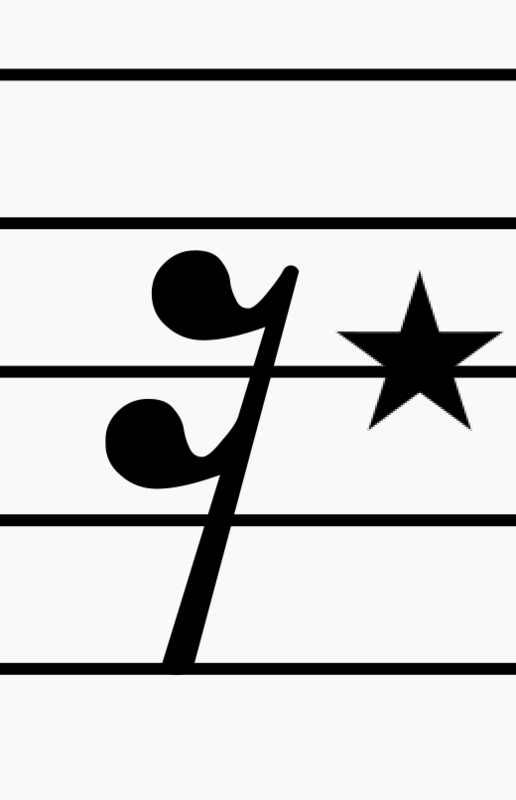 For the same reason, you must never use a starred note instead of a tied note for syncopation. 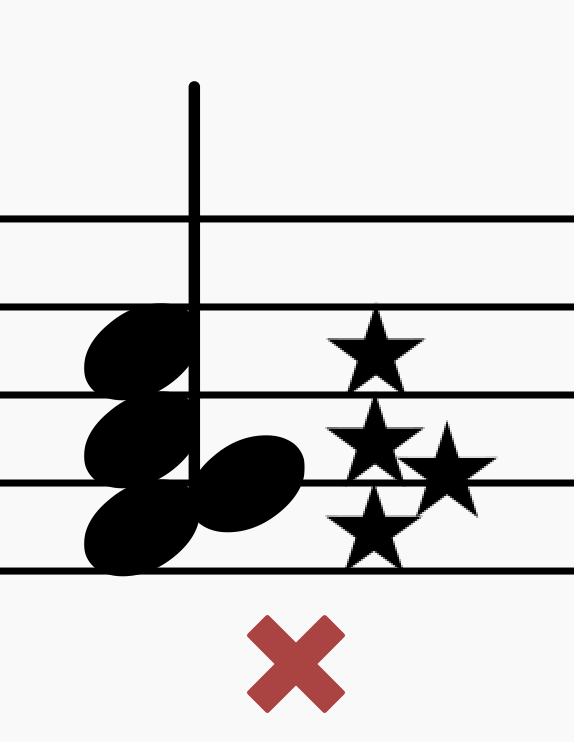 Stars and dots are exclusive; they must never be combined as alterations of the same note. Double-stars, which would extend a duration by a quarter and then by a sixteenth of itself, are technically possible but unlikely to be useful and are almost certainly a sign of malice. Unlike a dot, stars can align with staff lines, and are not moved up to the nearest space. 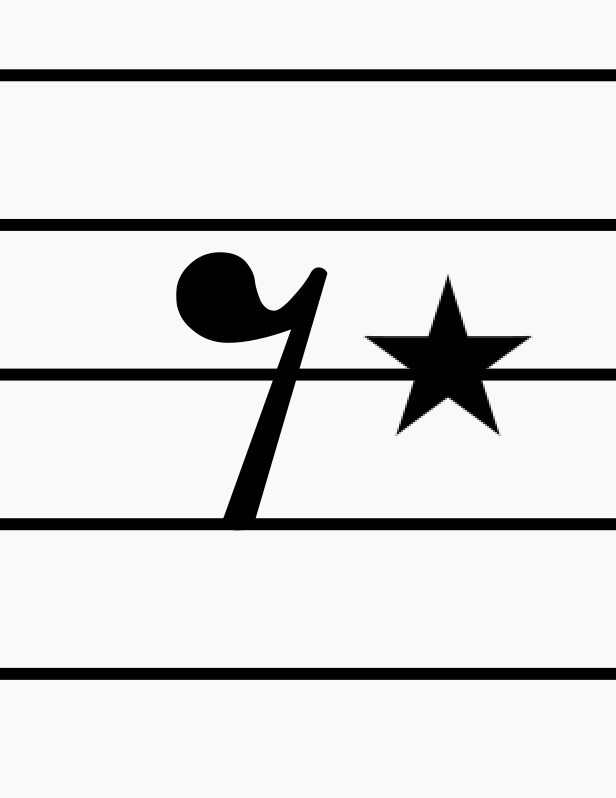 When the star appears beside a note head on a line, the star intersects the line across its two lower concave points. The staff line bisects the star at its narrowest point, and the actual center of the star is slightly above the line. 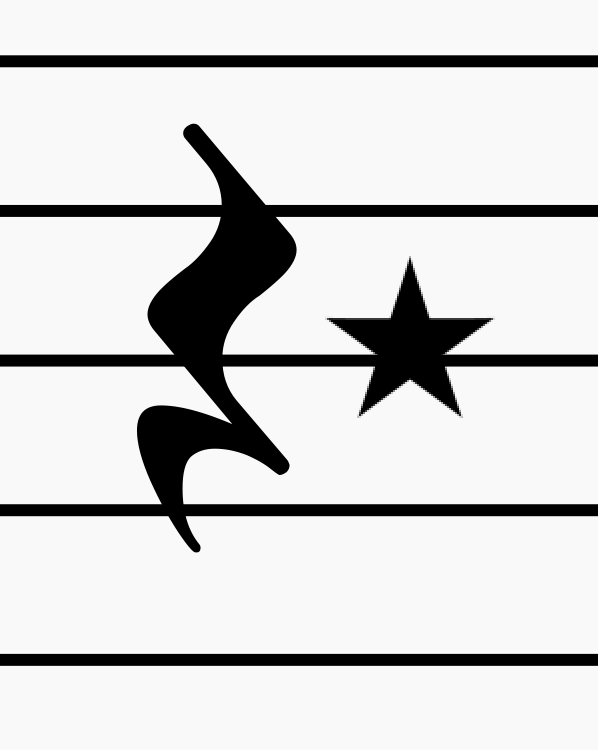 When the star appears beside a note head on a space, the star occupies the same vertical span as the note head. The top point touches the line above, and the bottom two points touch the line below. 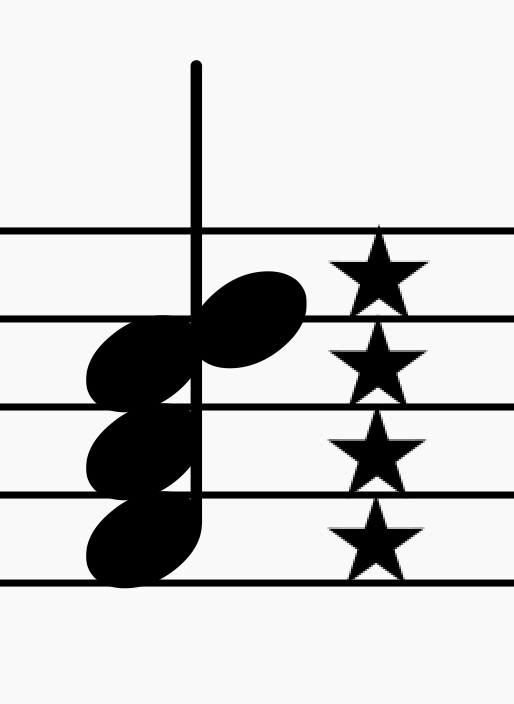 Chords require multiple stars, the same as dots. Stars should all be aligned vertically. 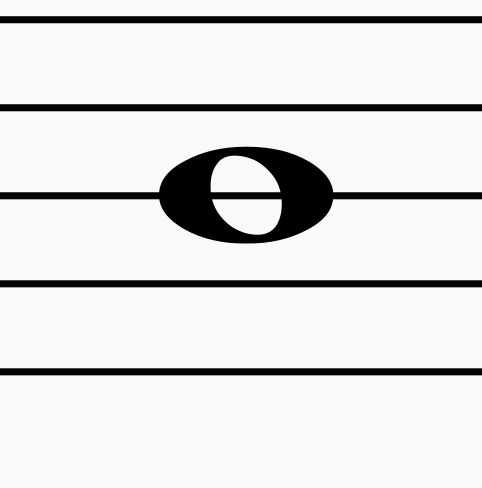 A chord may have a mix of stars aligned with lines and spaces, as long as they are spaced apart by at least one line-height. Stars must never overlap. Never stagger stars on lines and spaces like this. 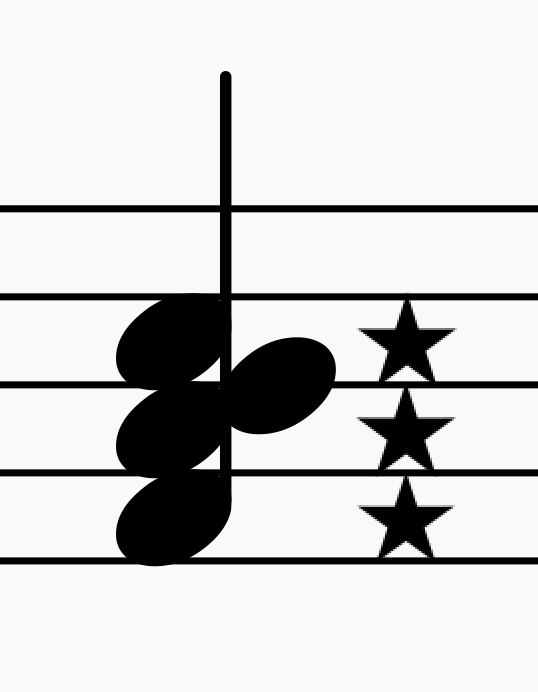 Stars beside a chord must be vertically aligned. 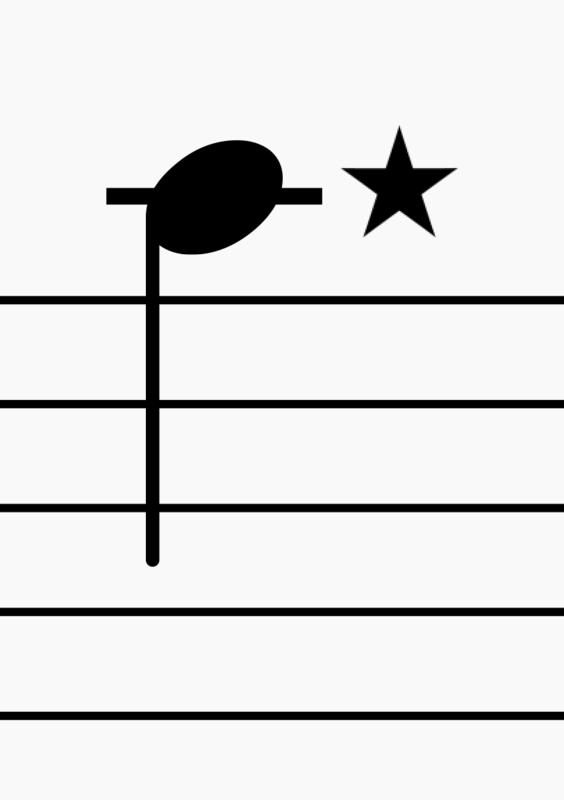 If the star beside a note on a line would overlap with another star, move it up to the space above. If that occupies the same place as another star, then the one star will suffice for both notes. 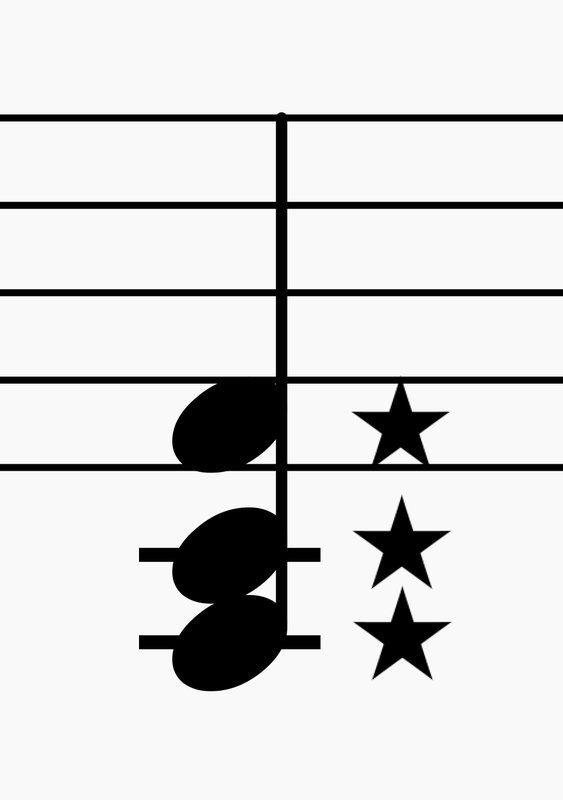 This means clustered chords will have stars in the spaces, but not on lines. 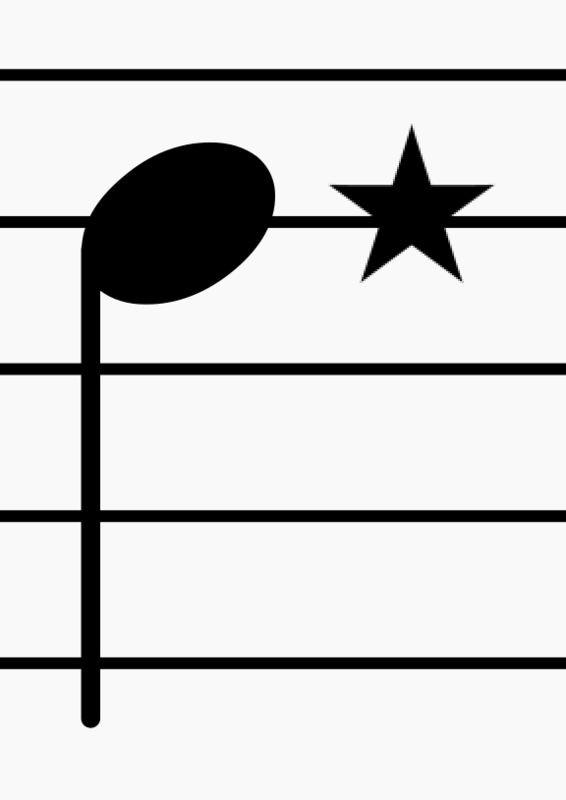 Since the star for the topmost note would overlap the star below it, it is moved up to the next space. Help is needed to create open-source plugins for all the major music notation software packages. If you have expertise in creating software plugins for these apps, please contribute! Prolific Finnish composer Einojuhani Rautavaara used an "x" symbol to the right of the notehead. This has the advantage of being syntactically similar to a regular augmentation dot. 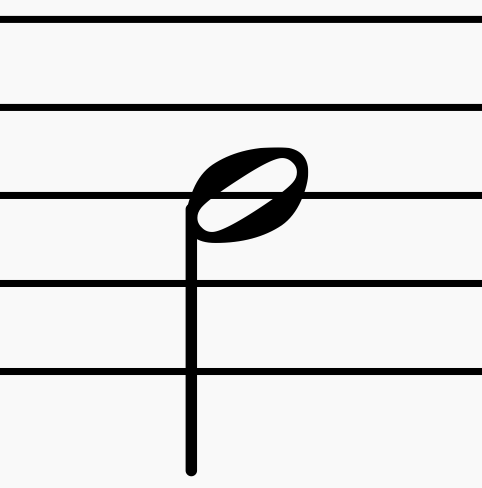 It has been criticized for the "x" looking similar to a double-sharp, but in practice is only a problem when in close proximity to other notes. 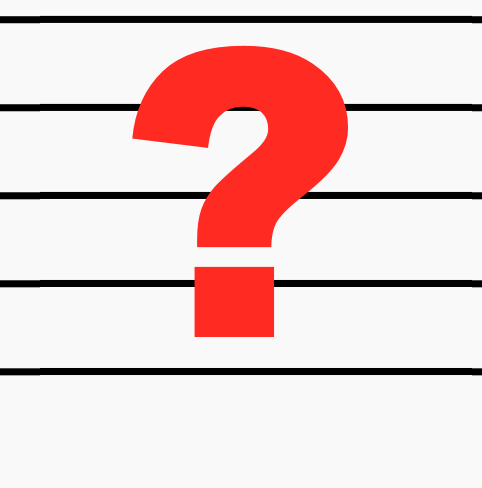 Avant-garde American composer George Crumb published scores in which a quintuple duration was notated with one dot to the right of the notehead, and another dot to the left. This notation was never well documented, but it was assumed that the posterior dot added a half-duration, while the anterior dot subtracted a quarter-duration. 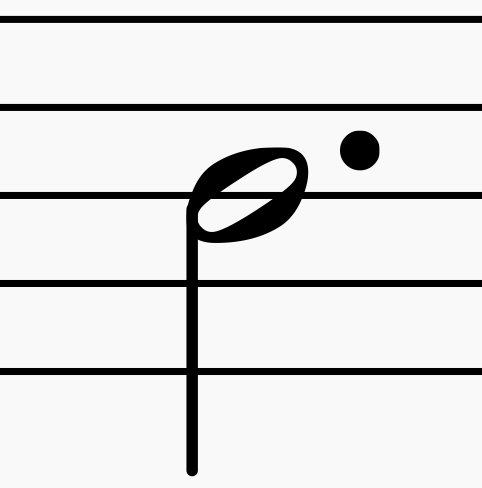 This notation has gained some fans, but is criticized because the anterior dot interferes with accidentals and ties, plus when in proximity to other notes it can look like the dot belongs to a different notehead. Matthew Saunders (see below) reports that this notation was also used by composer Frederic Anthony Rzewski. Matthew C. Saunders, associate professor of music at Oklahoma Panhandle State University, suggests putting a slash through the notehead or rest, or superimposing a circle over the notehead or rest. Read more about this. 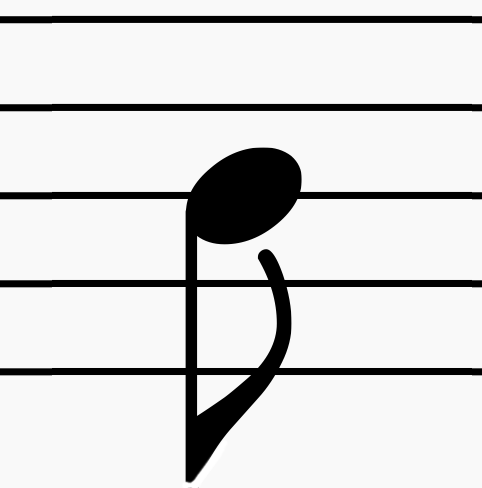 Another notation (reported by participants in the MET group, but without any examples or citations) is the use of a "+" symbol. If it is syntactically similar to an augmentation dot, then this glyph has similar advantages to Rautavaara's "x", but there are as of yet no known examples of a "+" being used in published material. Have you used star dots in published works? Let the author know so it can be added to this list.